It is not often that we use the terms shape-shifting and car in the same sentence, except for when going gung-ho for the Transformers. 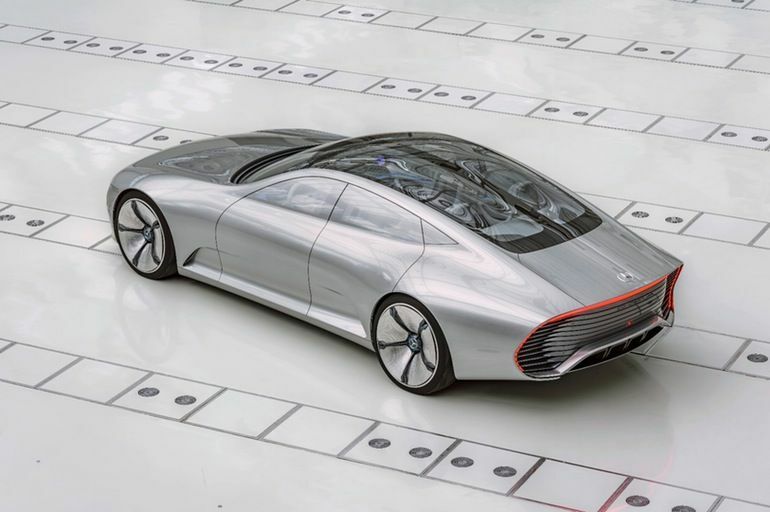 However, some resourceful folks over at Mercedes has conceptualized a seemingly conceivable version of a shape-shifting car, with the new Mercedes Concept IAA (short for Intelligent Aerodynamic Automobile). 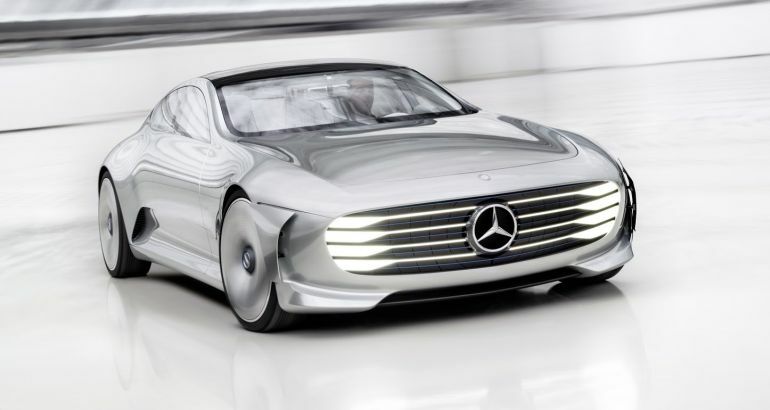 Looking like a futuristic version of the CLS, this automobile is touted to have a Cd (drag coefficient) figure of 0.19 – which is a world record for aerodynamics. 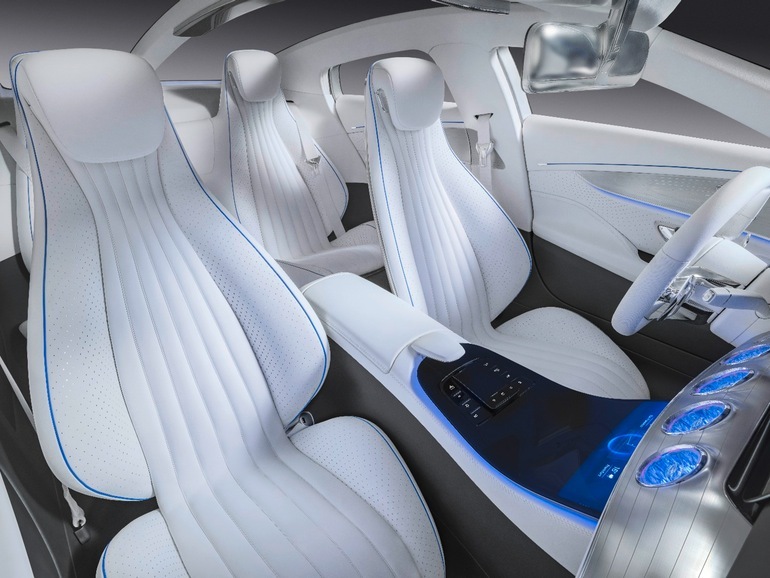 But beyond numbers, it is the technology espoused by the car that really tickles our fancy. 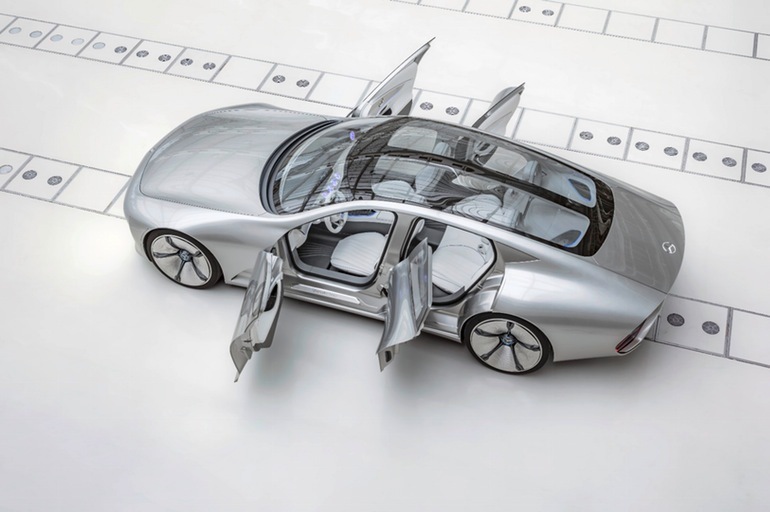 To that end, the Mercedes Concept IAA is envisioned to physically alter its shape from a default ‘Design Mode’ to a special ‘Aerodynamic Mode’ when moving over a speed of 80 km/h (50 mph). If we delve into the specifics, there are eight segments in the rear-end of the automobile that extend the tail section by up to 390 mm (15 inches) – thus resulting in a more sleek, streamlined profile. This shape-shifting scope is complemented by the extension of the front flaps in the front bumper – by 25 mm (1 inch) to the front and 20 mm (0.8 inches) to the rear. These adjustments result in the enhancement of airflow along the front wheel arches. And beyond the ambit of bumpers, the active rims can change their cupping from 55 mm to (2.2 inches) to zero, while the louver incorporated in the front bumper can move rearwards by 60 mm (2.4 inches). 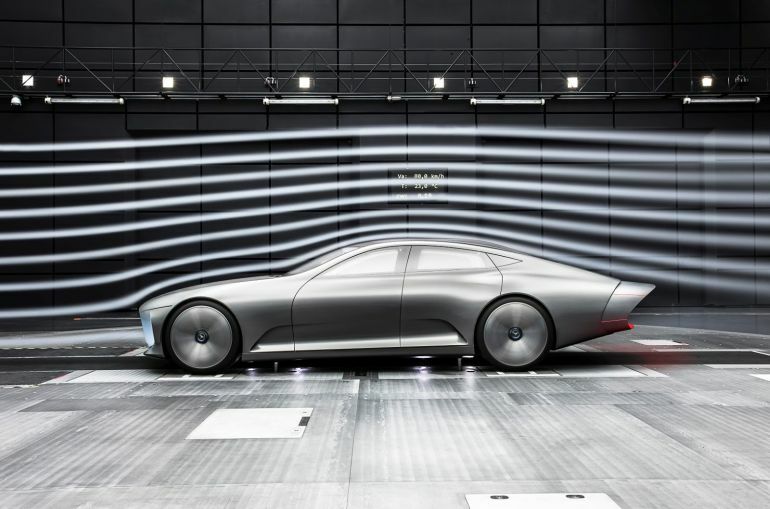 All of these physical alterations can potentially transform the Mercedes Concept IAA into an aerodynamic beast that significantly reduces on your fuel costs. Once again reverting to figures, Mercedes’ very own CLA Coupe has a drag coefficient of 0.23, a number also mirrored by the larger Audi A4 (in spite of its specially designed underbody and suspension elements). 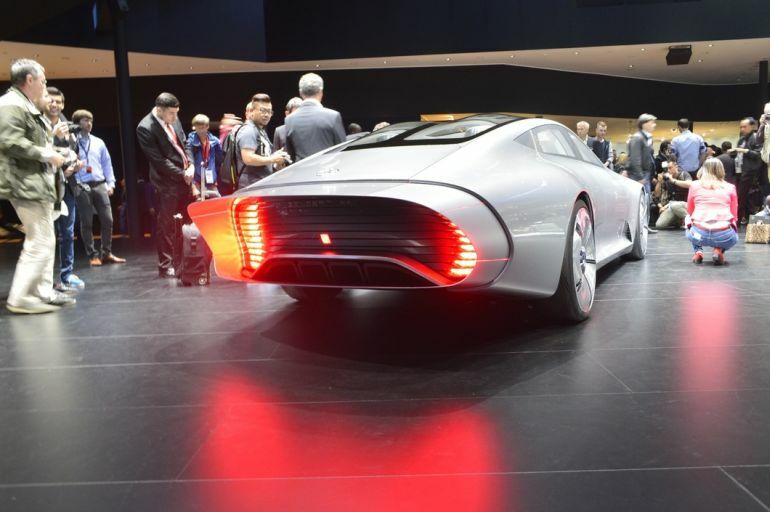 But as we mentioned before, the Concept IAA reduces this figure down to 0.19 – which is more than 17 percent reduction in drag when compared to these two cars. 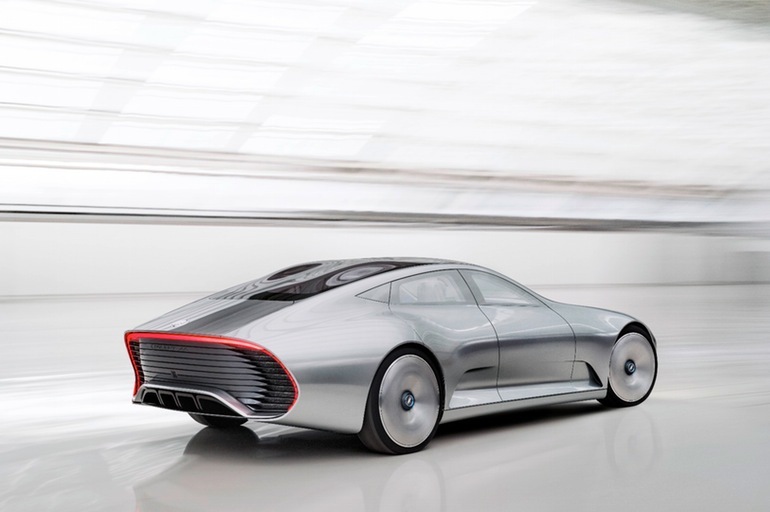 Now in terms of the core powertrain specifications, the Mercedes Concept IAA is juiced up by a (still not divulged) petrol-electric plug-in hybrid drive, which boasts an output of 275 hp (205 kW). 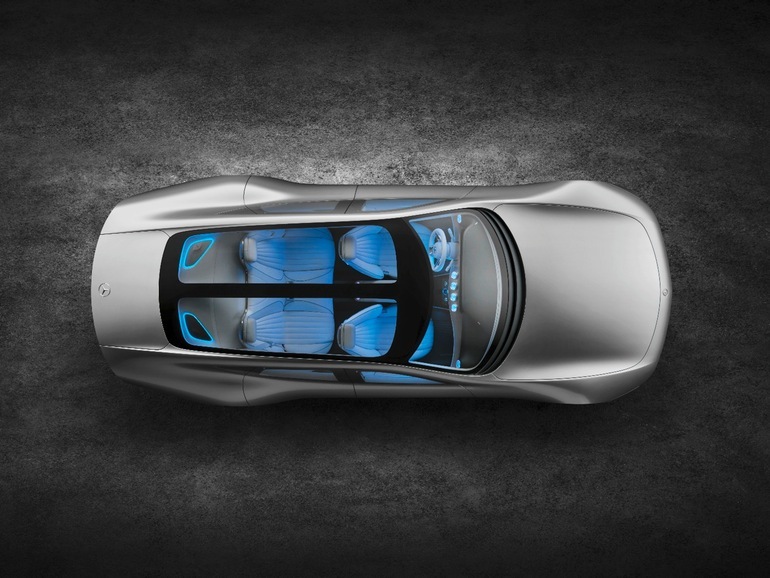 This results in a top-speed of 250 km/h (155 mph). As for the fuel-economy side of affairs, the ‘Design Mode’ of the car has a range of 62 km (39 miles) and emission figure of 31 g/km of carbon-dioxide. The ‘Aerodynamic Mode’ obviously improves upon these aspects by having an increased range of 66 km (41 miles) and a reduced carbon-dioxide emission figure of 28 g/km. 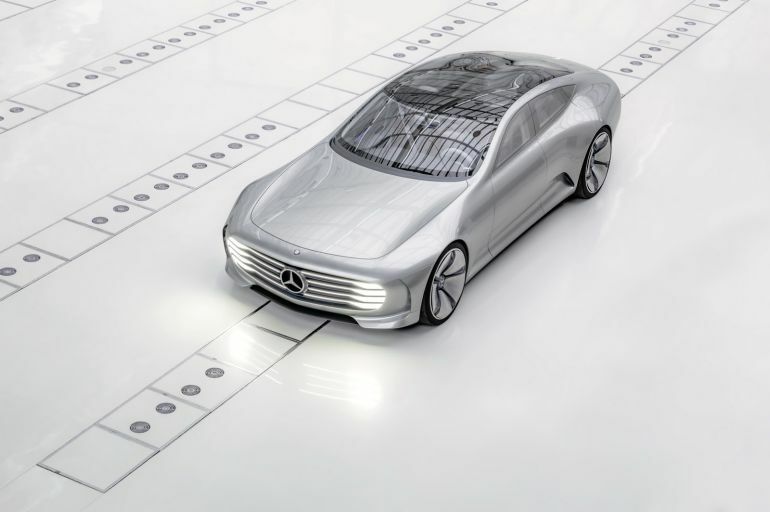 Lastly, as for the interior features of the automobile, the Mercedes Concept IAA upholds its futuristic scope with a range of touch-based functionalities and digital operating mechanisms for an user-interactive environment (like the integration of Car-to-X technology – for wireless communication with other vehicles to reduce accidents). 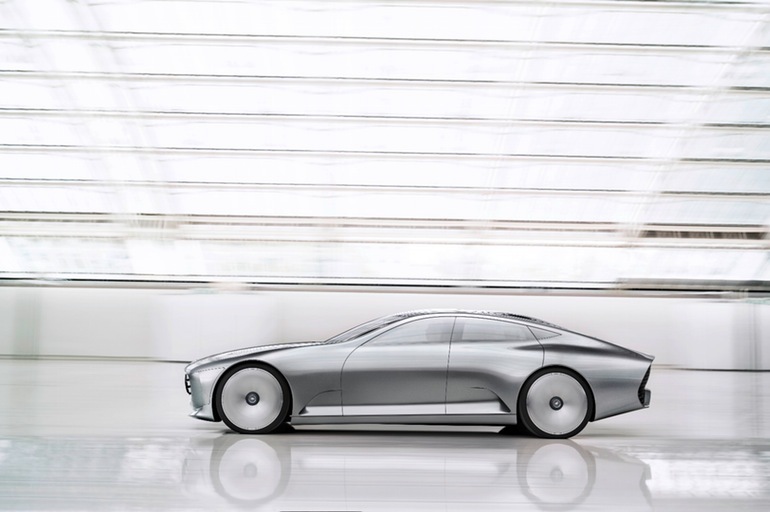 The hi-tech factor is finally bolstered on the visual level with the fusion of the aesthetic design lines of S-Class and S-Class Coupé. 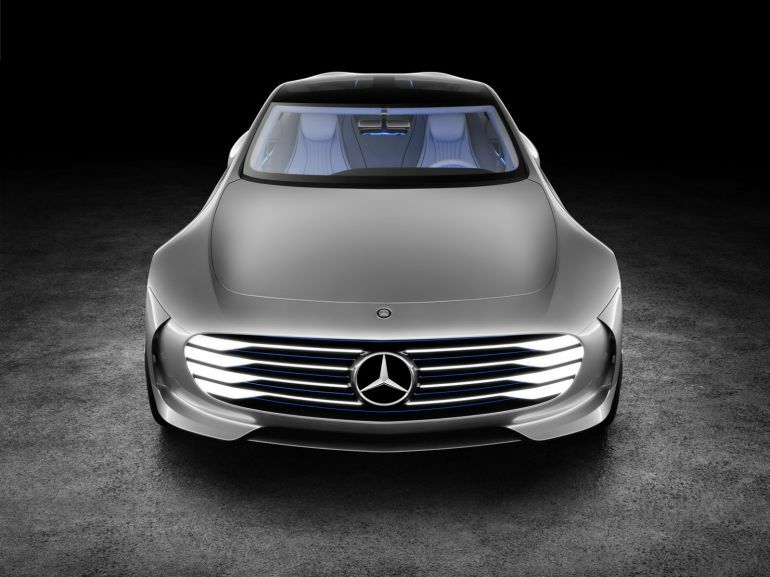 The concept was showcased at the ongoing Frankfurt Auto Show.